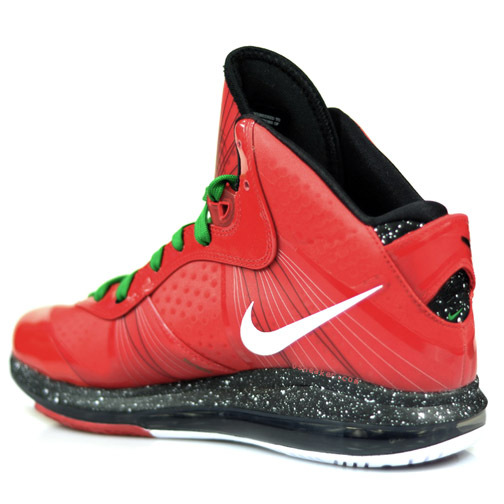 Another look at the much talked about "Christmas" edition of the Nike Air Max LeBron 8 V/2. Although we're still in November and have yet to even celebrate Thanksgiving, most of us are eagerly looking forward to Christmas day for the battle between the NBA's best L.A Lakers and the much talked about Miami Heat. However one thing that is on everyone's mind is what we will see on the feet of LeBron, Kobe and of course, D-Wade. One thing we know for sure is what we can expect to see on the feet of "The King." 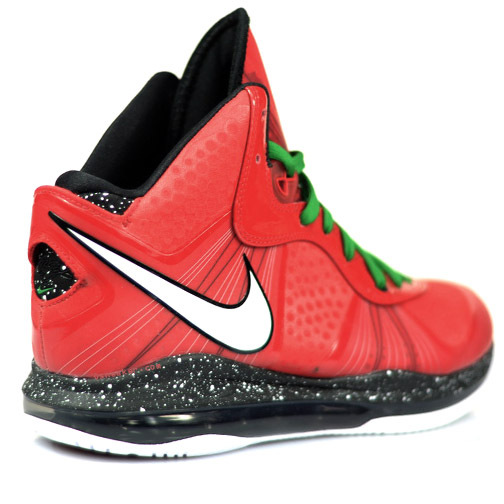 Christmas day 2010 will be the debut of the Nike Air Max Lebron 8 V/2 in the much talked about "Christmas" colorway. Arriving in a perfect look for the holiday, the V/2 makes use of a predominantly red upper, with patent leather getting the job done along the eyelets. White works the Swoosh and continues on the outsole, while black works the 360 Air unit and white speckled midsole. 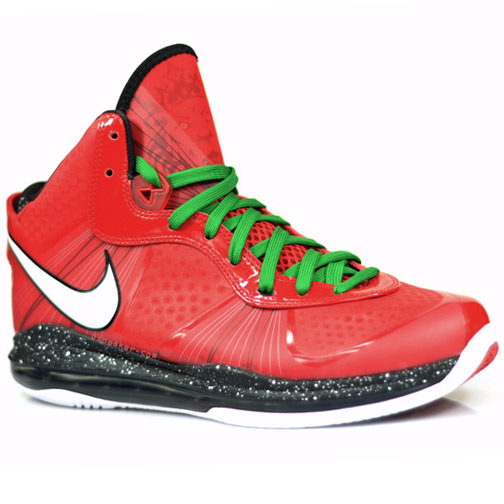 Green laces are put in place to create the Christmas feel on this much talked about make up of the LeBron 8 V/2. 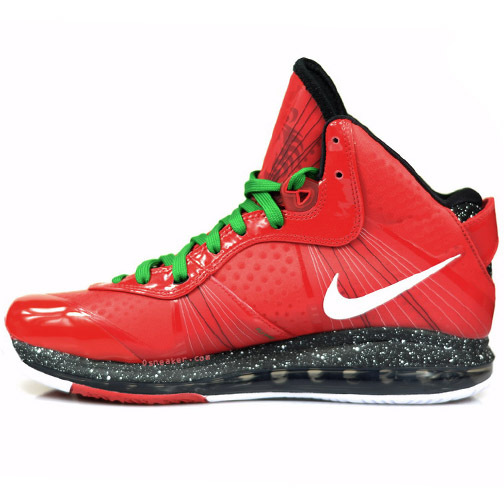 The "Christmas" edition of the Nike Air Max LeBron 8 V/2 is set to release December 26th at select Nike Basketball retailers.